The travel business is always been of a dynamic nature. Travel agents and tour operators find it difficult to cope up with customers with diverse needs while looking for holiday packages. This problem laid the foundation of the need for dynamic holiday packaging and thus, Travel Boutique Online came up with the concept of 'Online Packages'. 'Online Packages' is the recent initiative by Travel Boutique Online to offer more control and flexibility to its partner travel agents and tour operators over the holiday packages they are willing to book for their valuable customers. 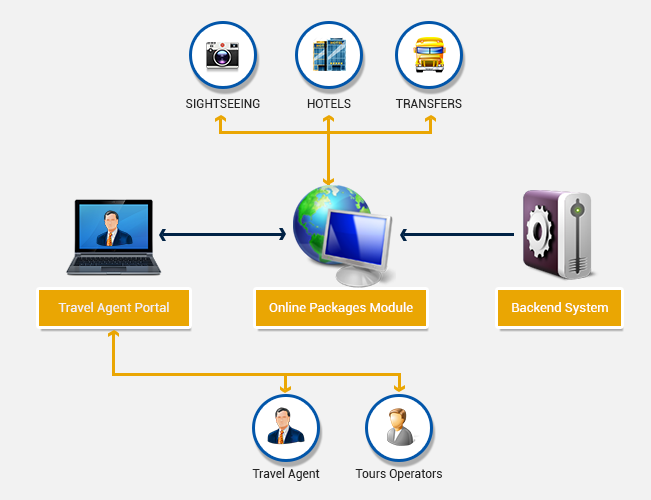 This solution offers them a power to substitute any travel entity, be it a hotel, transfer type or sightseeing options, within any package with a better option from available resources that best suits customer needs. The pricing is completely based on real-time availability of the travel components and price change takes place depending on the complete package rather than the individual price of the components leaving behind bigger margins for the agents. With the dynamic nature and flexibility of the system, travel agents can ensure complete satisfaction for their customers by fulfilling their exact expectations from the holiday package they are willing to book.